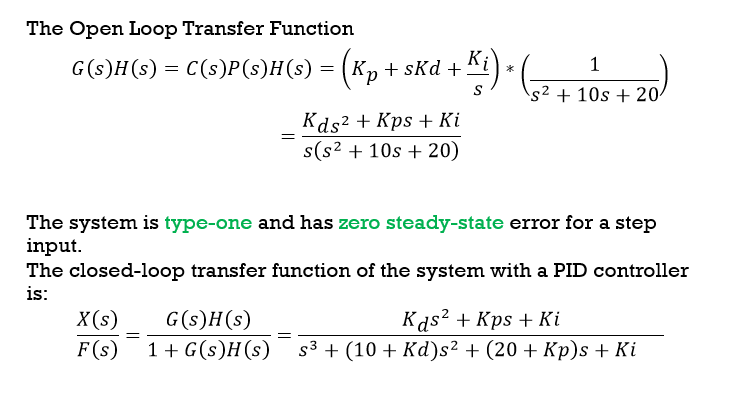 A proportional controller (Kp) will have the effect of reducing the rise time and will reduce, but never eliminate, the steady-state error. 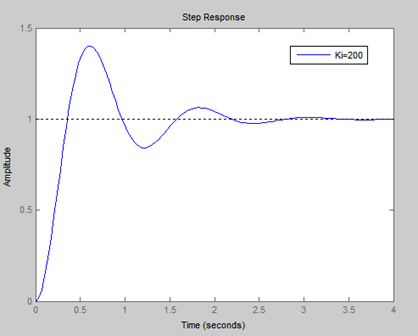 An integral control (Ki) will have the effect of eliminating the steady-state error, but it may make the transient response worse. 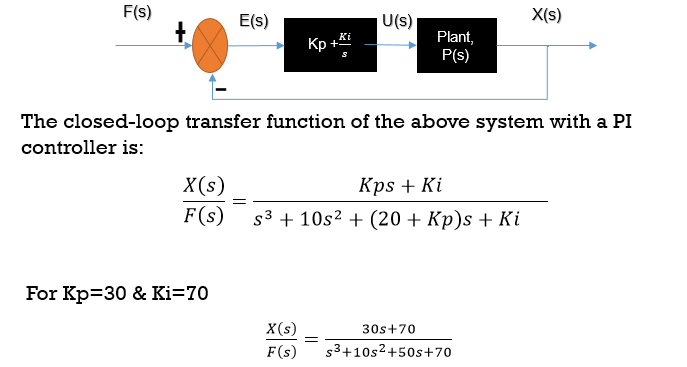 The DC gain of the plant transfer function is 1/20, so 0.05 is the final value of the output to a unit step input. 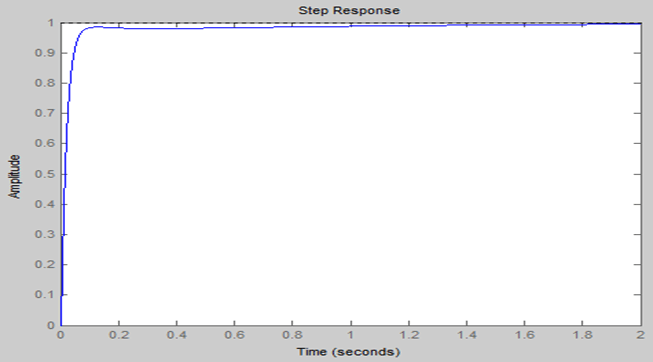 This corresponds to the steady-state error of 0.95, quite large indeed. Furthermore, the rise time is about one second, and the settling time is about 1.5 seconds. 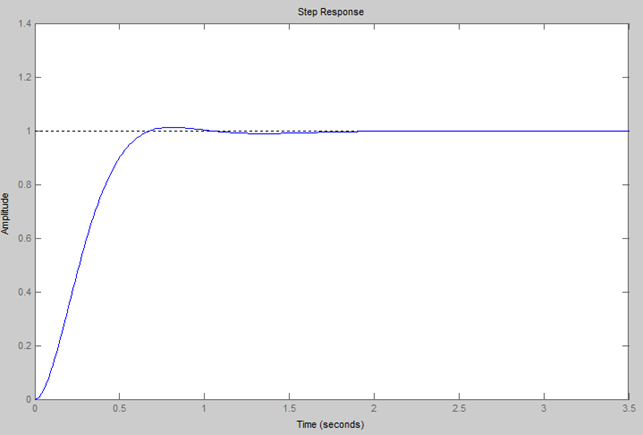 This is a type-zero system and hence will have a finite steady-state error for a step input. 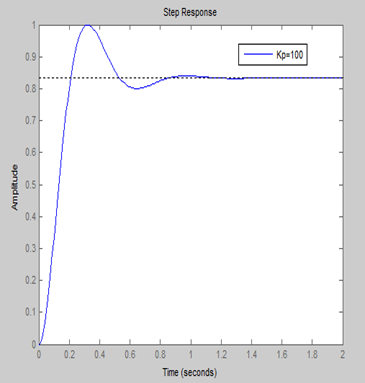 Large values of K lead to small steady-state error; however, they also lead to a faster, less damped responses. If we want a small overshoot and a small steady-state error, a proportional gain alone is not enough. Proportional-derivative (PD) control considers both the magnitude of the system error and the derivative of this error. Derivative control has the effect of adding damping to a system, and, thus, has a stabilizing influence on the system response. The derivative controller reduced both the overshoot and the Settling time, and had a small effect on the rise time and the steady-state error. 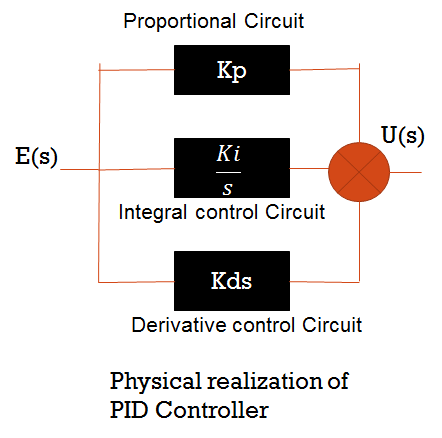 The PD controller has decreased the system settling time considerably; however, to control the steady-state error, the derivative gain Kd must be high. This decreases the response times of the system and can make it susceptible to noise. For Integral control action, the actuating signal consists of proportional-error signal added with integral of the error signal. 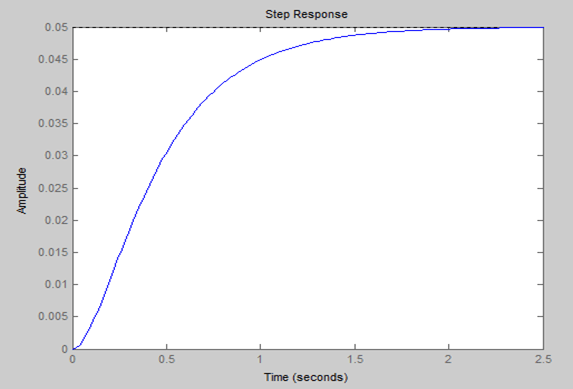 Using integral control makes the system type-one, so the steady-state error due to a step input is zero. 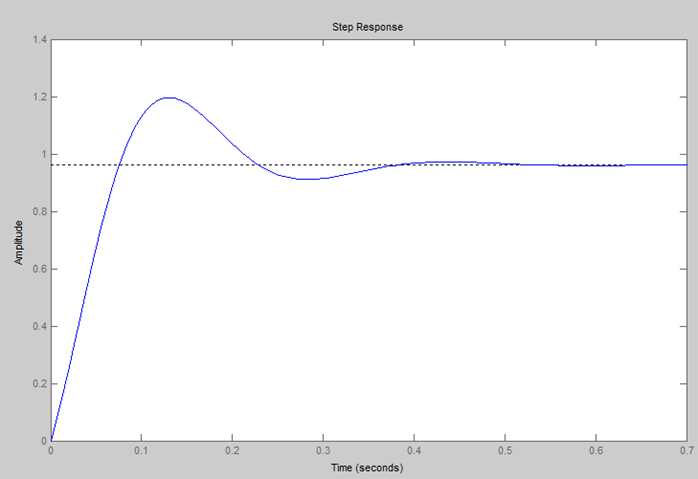 The response shows that the Integral control has removed the steady-state error and improved the transient response, but it has also increased the system settling time. Proportional-integral-derivative control (PID) combines the stabilizing influence of the derivative term and the reduction in steady-state error from the integral term. 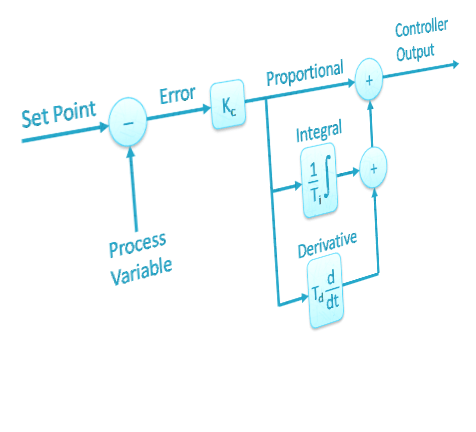 While designing a PID controller, the general rule is to add proportional control to get the desired rise time, add derivative control to get the desired overshoot, and then add integral control (if needed) to eliminate the steady-state error. PID temperature controllers are applied in industrial ovens, plastics injection machinery, hot stamping machines and packing industry. Electronic analog PID control loops are often found within more complex electronic systems, for example, the head positioning of a disk drive, the power conditioning of a power supply, or even the movement-detection circuit of a modern seismometer. Most modern PID controllers in industry are implemented in programmable logic controllers (PLCs) or as a panel-mounted digital controller.